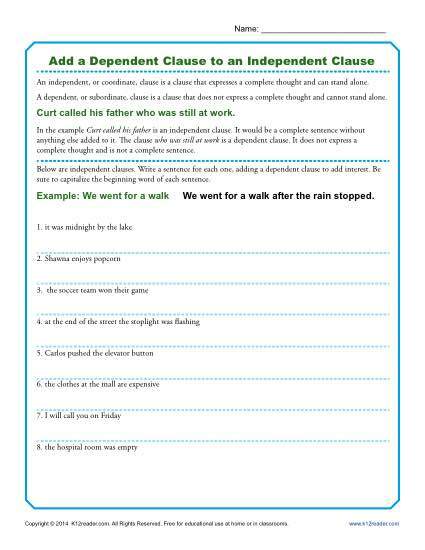 Plain independent clauses can be spiced up with dependent clauses! Your student will add the spice in this worksheet. It’s a great way to work on Common Core Standards for 9th or 10th grade Language. It is also useful for other students and other grades.